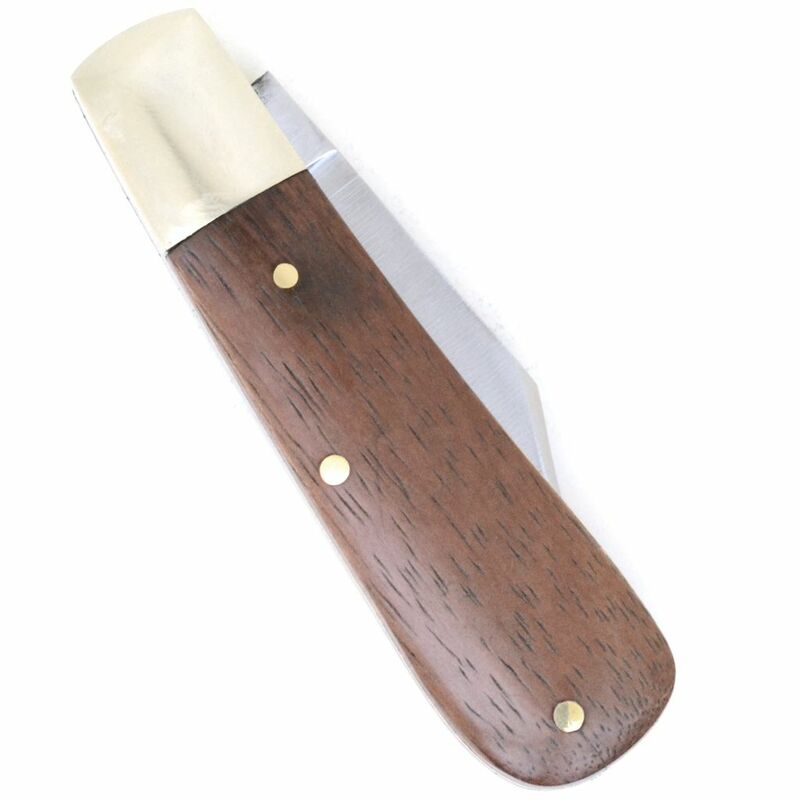 Shop & buy A. Wright, Sheffield, Barlow folding pocket knife 60W. 7 cm (2.8 inches) long, flat grind, clip point, C70 carbon steel blade. 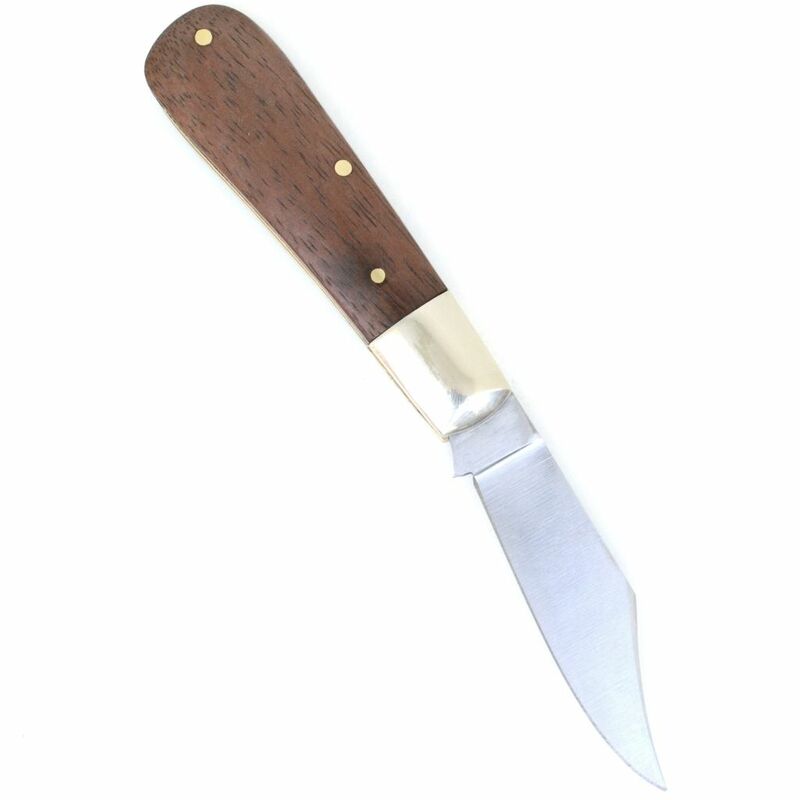 Brass handle liners, nickel silver bolsters, rosewood handle scales. Hand made in Sheffield. Note: carbon steel knives should be cleaned and oiled after use to prevent corrosion, natural wood grain contains lines and grooves, this is not a fault. A. Wright folding knives have a very strong backspring when new. 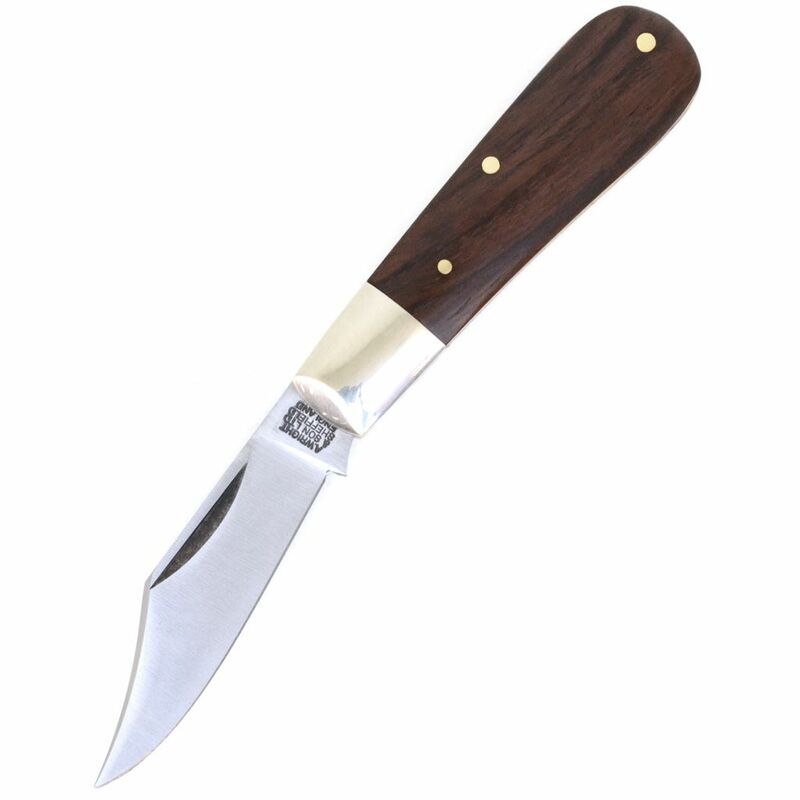 The Barlow pocket knife originates from a Sheffield knife maker named Barlow, over 300 years ago. Harold L. Peterson, author of 'American Knives' has traced the name back to 1779 in American records. Mark Twain refers to a Barlow knife in his 1876 novel 'The Adventures of Tom Sawyer'.The folding pocket knife was originally a large, single blade, low cost folding work knife. For added strength, the metal handle bolster was extended to approximately one third of the length of the handle. The bolster is the part of the handle which encases the blade pivot and is the point of greatest strain in a folding pocket knife. This is a sturdy and well-made knife. My only complaint is that it's a bit too stiff to easily open, I really have to work at it a bit more than I'd like. But I guess that just speaks to the strength of the spring and joint, which is one reason I bought this knife. It's a good size and blade style and although a bit heftier than my normal (Victorinox Bantam in Alox) is a good choise for EDC. All in all, a good value and I expect to have this knife a long time. 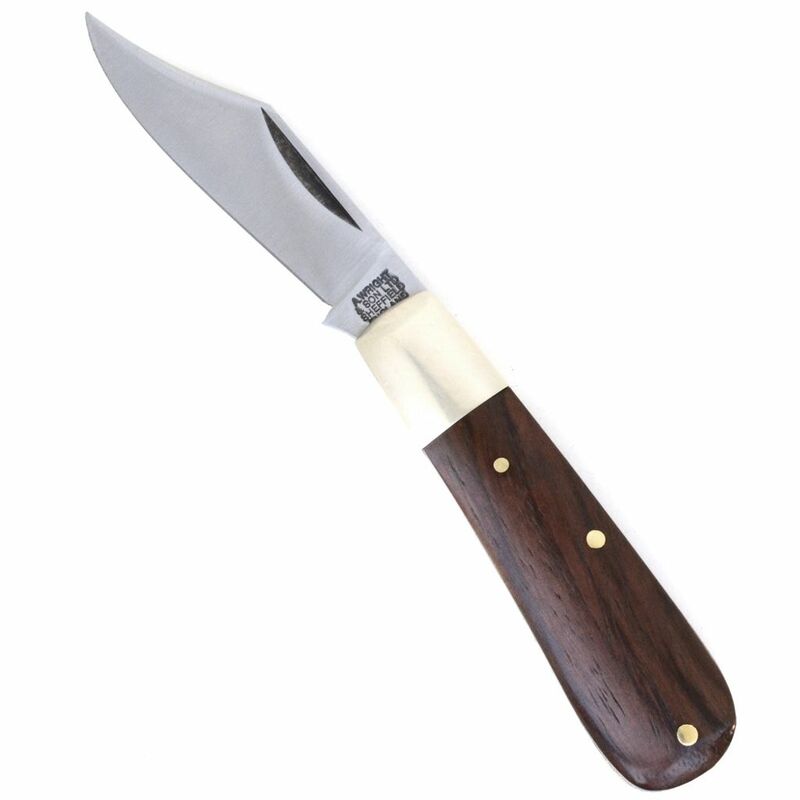 This is a very solid knife carefully made from traditional materials. The nickel silver bolsters and brass liners make it quite heavy, and the spring is very strong, so it takes a little effort to open the blade. The rosewood scales are a lovely rich dark wood, and in general the knife feels good in the hand. Mine is nicely finished. The carbon steel blade is ground at a practical angle for everyday cutting jobs, but does take and hold a good edge. 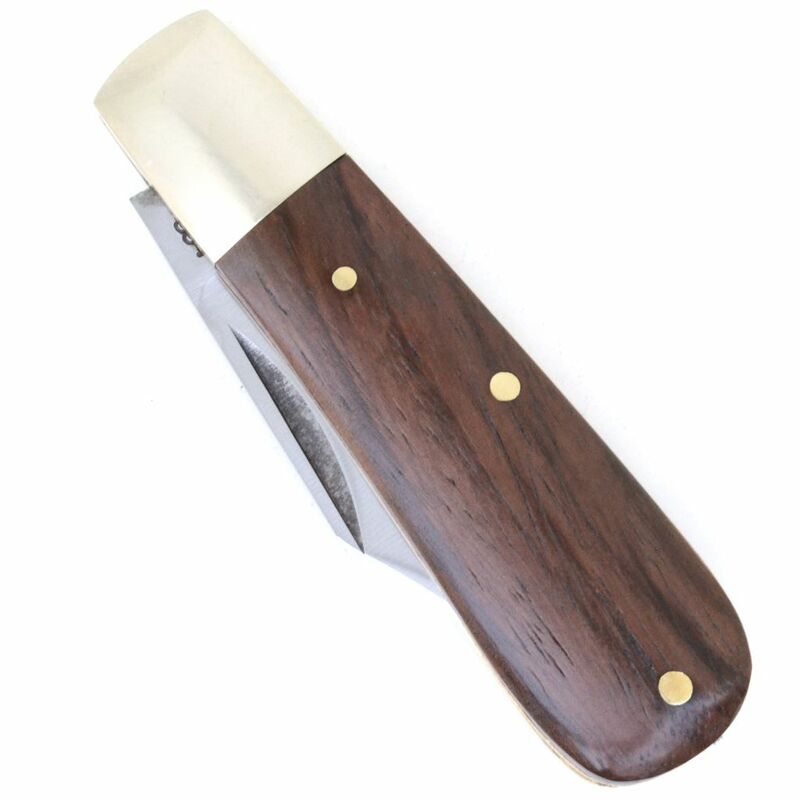 Recommended to anyone who needs a practical and attractive traditional pocket knife.